Published by Cahans Publications and printed by McArdle Printers, 16 High Street, Monaghan, Full Circle – A story of Ballybay Presbyterians tells how Presbyterians have lived, worshipped and served in the Ballybay community through 300 years. 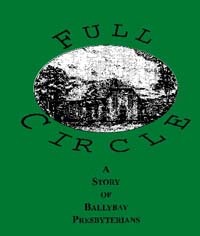 It includes the story of the divisions that led to Cahans, Derryvalley and Second Ballybay Seceder congregations and of the re-union of First Ballybay, Cahans and Derryvalley in 1972, hence the title, Full Circle. Included also are fuller stories of people who appear on this website, plus Presbyterians and linen, tenant right and 1798, education, the great famine, emigration (as in the Cahans exodus), their concern for the poor, their suffering in wars, and their spiritual life and strength of faith. It also tells of Hope M Waddell, the first Irish Presbyterian missionary and of David Bell, Derryvalley minister and tenant right activist, and so much more in its 390 pages, liberally illustrated. It is available from David Nesbitt, The Manse, Clones Road, Ballybay, Co Monaghan, Ireland (email: david.nesbitt@cahans.ie). It sells at €20. 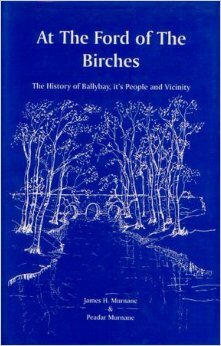 The Cahans story also features in At the Ford of the Birches by JH and P Murnane.